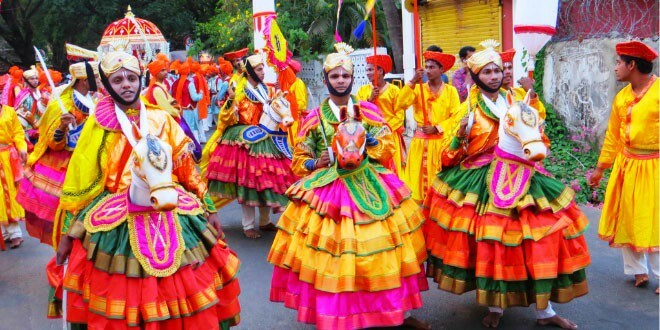 The diversity of India can clearly be depicted through its festivals. The way Indian festivals are celebrated in different parts of the country is a proof that there definitely is “Unity in Diversity” and also that “India is Incredible”. Yes, the above two quotes are absolutely true because though we have umpteen cultures, people of India share the same feelings for its festivals. No matter how we celebrate our festivals, the thing which matters is the affection and happiness towards our festivals. There is no other country in the world which has such a beauty of diversity in its people, culture, food, festivals and still connected through a single thread, which is the eternal love and great respect towards our country. Now when we are talking of festivals, we have one big festival coming our way, which is just a few days away. It’s a festival celebrated throughout the country but in different genres. Yes! We are talking about Holi. Let us discuss how it is celebrated in different parts of the country. As the name suggests, this Holi involves lathis too with colors for Holi play fun. Barsana is a place where Radha ji (beloved of Lord Krishna) was born, and is 42 kilometres away from Mathura. 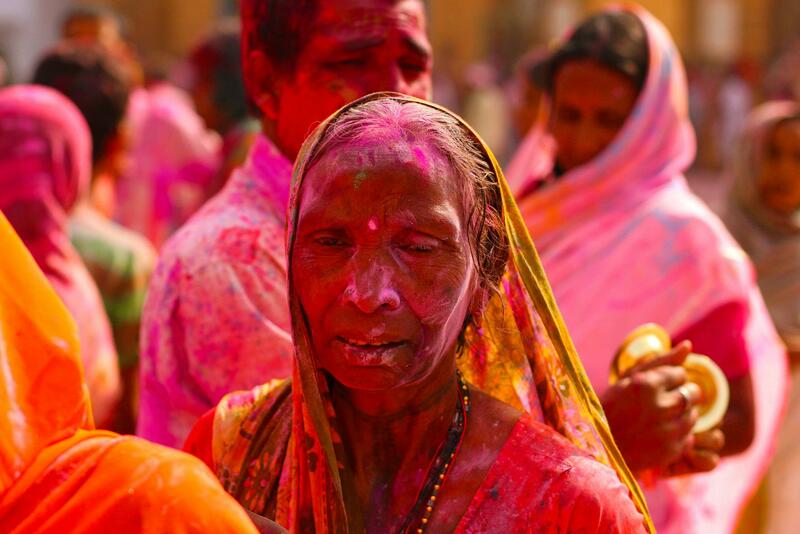 Here Holi is played in a different way, women chase men by lathi, but they don’t get annoyed because it’s a ritual. In fact, men come prepared for it and play it with huge fanaticism. Basant means “Spring Season” and thus Basant Utsav is menat to welcome and celebrate the lively season. A special kind of function takes places at Shantiniketan on this day. 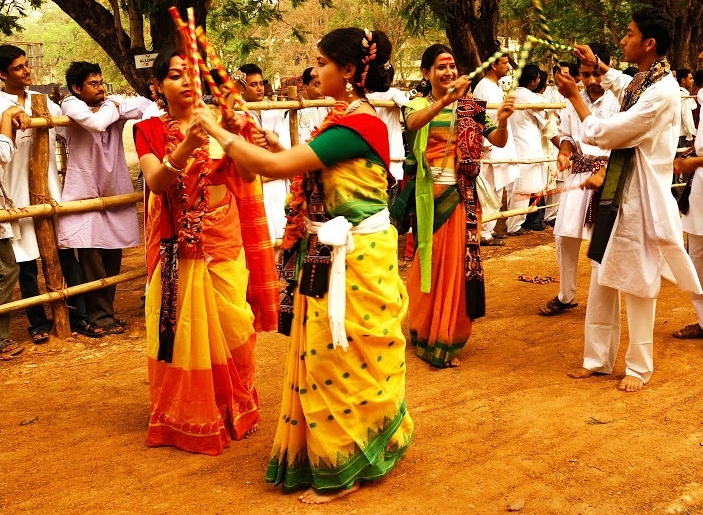 Girls and boys drape themselves in saffron colored clothes and celebrate the festival by singing and dancing together. Whereas on Dol Purnima, there is a complete celebration Radha Krishna, where the idols of the Gods are decorated and taken in a procession. It’s an amazing and phenomenally enthusiastic celebration in Goa. Even tourists involve themselves in an affectionate manner in this festival and celebrate it with equal zeal. The play-acting and the performances on drumbeats based on mythological stories of Hindu religion are portrayed on streets. People dress up in their best possible manner. Phaguwa is a typical Bhojpuri word. In Bihar, Holi is celebrated by burning a fire, which is called “Holika Dahan”. 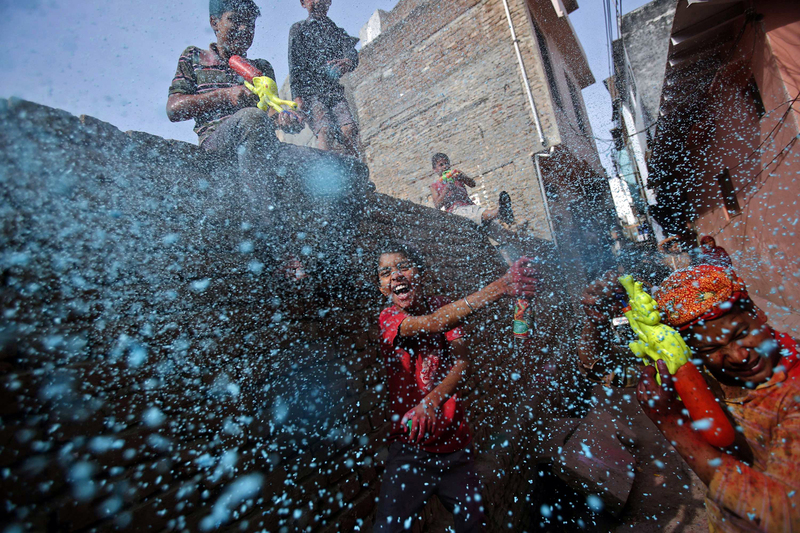 People wish each other Happy Holi and the next day is followed by Holi colour celebration where people apply dry or wet color on each other and greet. Bhang consumption too is common in Bihar on Holi. 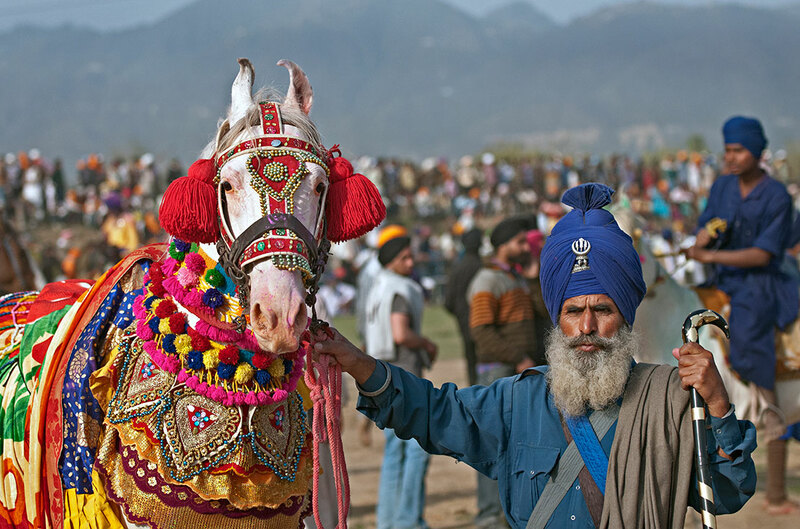 Sikhs in India are such a community that live life at its best. They are the people that express their happiness and excitement to the fullest and appreciate each and every moment of life. This festival of Holi is celebrated as Holla Mohalla by Nihang Sikhs. They perform martial arts, sing, dance, eat and shout their hearts out in a ritual. That’s the true beauty of Indian festivals! There’s always so much to understand and appreciate about Indian festivals that you just can’t resist your enthusiasm and craziness for the festival.